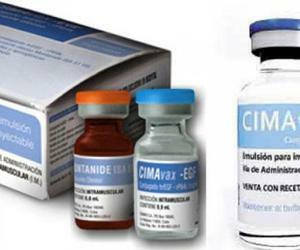 The Cuban CIMAVAX EGF therapeutic vaccine produced in the Molecular Engineering Center has begun new clinical testing against lung cancer in policlinics throughout the country. During the 3rd Provincial Workshop on Clinical Trials underway in Camaguey, Geidy Lorenzo promoter of the tests at the institution explained that the objective is to standardize and regulate the administration of the vaccines in the level of primary health care attention. The vaccines do not prevent or cure lung cancer, but contributes in controlling the illness and offers a better quality of life for the patients, above all when the tumor is at an advanced stage, said the specialist.